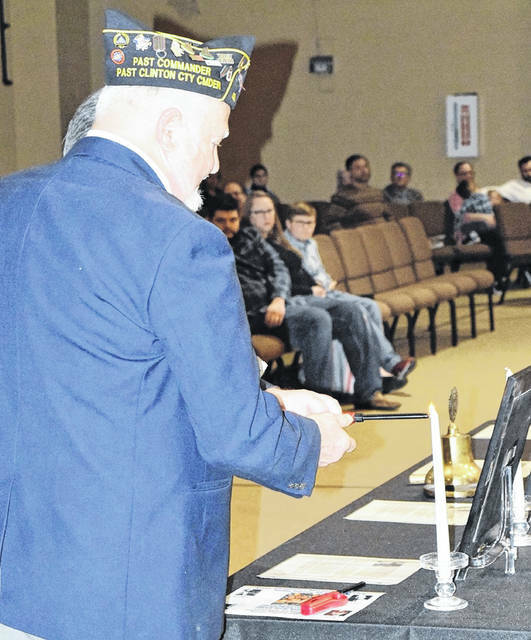 WILMINGTON — Members of the American Legion, Veterans of Foreign Wars, Sons of the American Legion, 40 & 8 Voiture 992 and American Legion Auxiliary met with members of Cavalry Baptist Church Sunday for the annual tribute to the U.S. Army Four Chaplains. 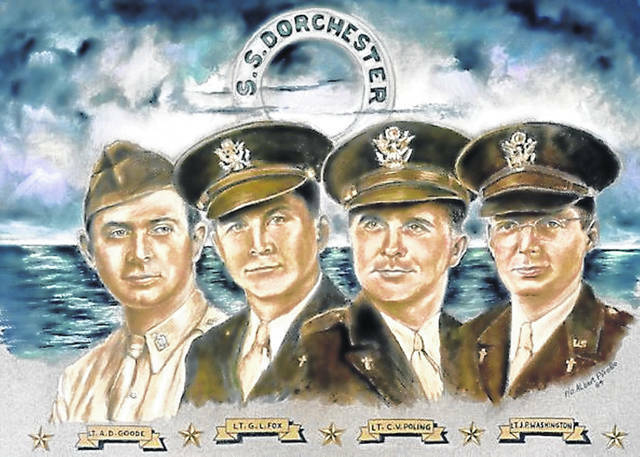 The four gave their lives to save other civilian and military personnel as the troop ship SS Dorchester sank on Feb. 3, 1943, after being torpedoed off Greenland during World War II. 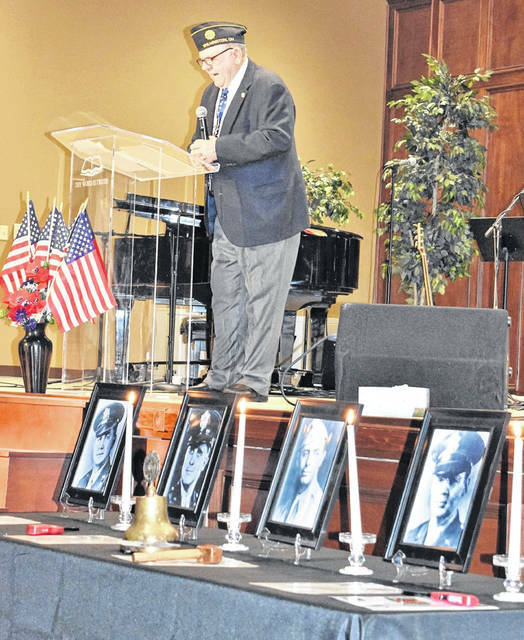 They helped other soldiers board lifeboats and gave up their own life jackets when the supply ran out. 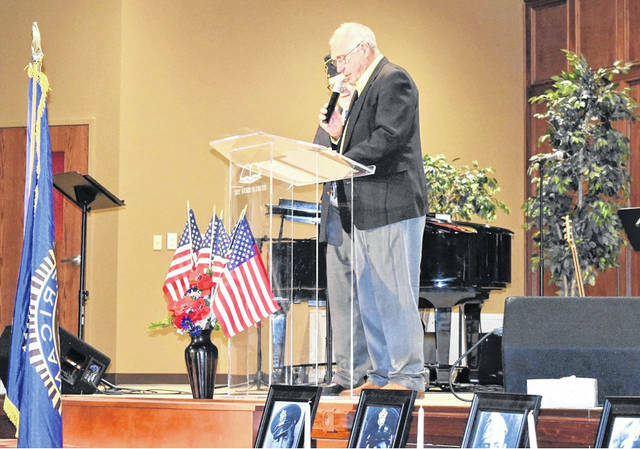 The chaplains joined arms, said prayers, and sang hymns as they went down with the ship. 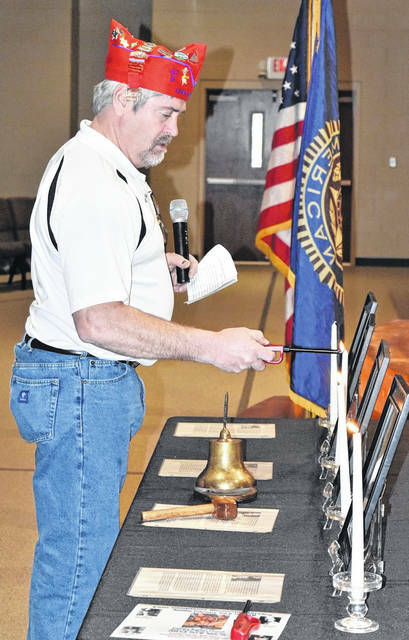 Leading the ceremony was American Legion Post 49 Chaplain Bob Baker. 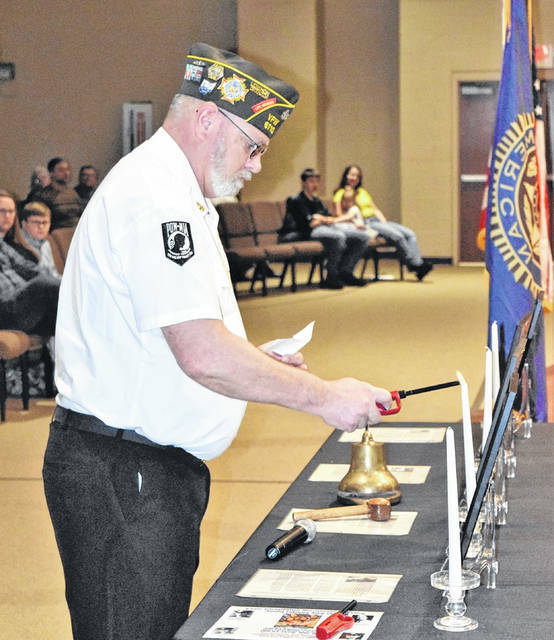 Biographies of the Four Chaplains were read by American Legion Post Commander Jim Cook, VFW Post Commander Richard James, 40 & 8 Chef De Gare Charlie Shoemaker and Sons of the American Legion Squadron Commander Pete Brown. 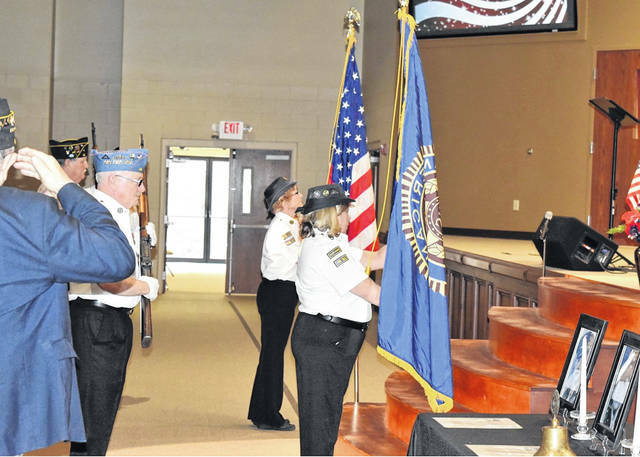 Colors were presented by American Legion Post 49 Color Guard, Mike Sutton commanding. 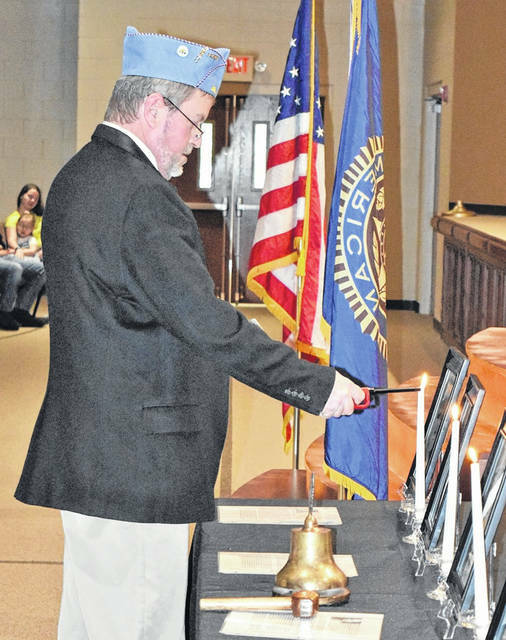 Wilmington Mayor John Stanforth read a proclamation declaring Feb. 3 as Four Chaplains Day.